Our present lifestyle has become more demanding which have some of envying the carefree days of no deadlines, no social pressure and less financial demands that our parents or grandparents might have had. Fortunately, as we are speeding through the days, so is the technology of today not hitting the brake? It is difficult to open a social media page without seeing the latest inventions making likes on the market. This helps take off the pressure a bit as exciting smart products help to make the days a little less complicated. Smart technology is improving rapidly and changing according to the needs of the consumers to make daily routine tasks easier and at the same time provides the consumers with comfort and style. Lucky, smart technology is not just a trend, but an evolutionary experience that is here to stay, making our lives a bit easier and allowing us more time to spend with the ones we love. Of course, those with a large pay cheque, do not have a problem going to the nearest technology store to buy whatever fits their needs, but for others, smart technology seems far from reach as financial pressure has its grip. This does not have to be the case though! Most smart home appliances center on a large-scale of connected appliances that cost thousands of dollars, but the Wink Hub 2 you can get for only under $100. This hub functions with different wireless protocols and brands, Bluetooth included. You can control all types of the latest smart home devices when connecting them to the Wink Hub, making your home more automated for less. Recommended reading: What Technology Could Look Like in 2050. Certain smaller home gadgets and installations on the market have become smart, making them more efficient and when you invest in them, you can actually save yourself some money in the long run. Lights, smart faucets, thermal heat detectors and shower meters are just a few examples. 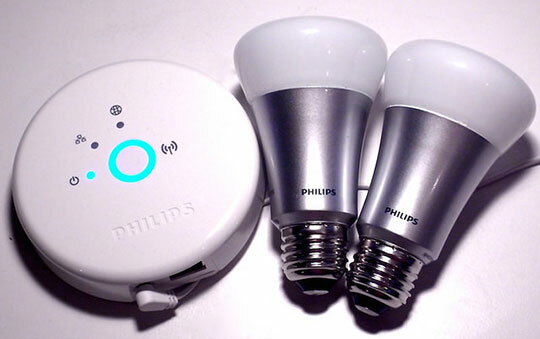 Take the Philips Hue Lux for example, which is a smart lighting option. This light can change colors and have smart phone controls and automation. They might be a bit more than your ordinary light bulb, but saving you energy along the way and impressing your company with a light changing mood is worth the purchase. Another light connection is the Belkin Wemo Light Switch which enables you to have an app-enabled smart lighting control after a slight hand on installation. If you want to live efficiently today, it is best to know what is going on in your living environment. With the Climb sensor at only $15, you can do just that, as it can measure temperature, humidity, light, motion, CO2, pressure and color. “How does this all help,” you ask. Well, you can leave a Climb sensor outside to pick up on temperature change and letting it adjust the thermostat, or when you have the washing on, the Clime can detect when the cycle is done and alert you while you are in the other room. It is simple to set up as it just sticks to a surface, runs on battery power and connects to the related app on your phone through Bluetooth. Another example of a gadget that functions similar to the Clime is the Quirky Spotter Multipurpose Sensor which helps you measure and monitor your home. It can even tell you whether the front door is open while you are away. You may also like: Alfawise S60 Window Cleaning Robot Cleaner – Feature Review. If you prefer sitting back, relaxing with your family and friends while the meat is being taken care of, then the iDevices iGrill Mini is for you as it alerts you when the meat is cooked. This compact, affordable gadget gets attached to your grill or oven with a magnet. It works via Bluetooth, allowing you to monitor your food remotely giving you the ultimate cooking experience. When it comes to the safety of you home and family, the price should not matter, but unfortunately, most new fire alarms can be quite expensive. This does not have to be the case if you still have an old functioning alarm system, as the Roost Smart Battery allows you to upgrade your old gear. The Roost Smart Battery looks like a 9V battery but functions as a smart gadget. It replaces your old battery and can last for up to five years, alerting you when its life is running low. On top of its durability, it will alert you via Wi-Fi whenever smoke, fire, carbon monoxide and natural gasses are detected. 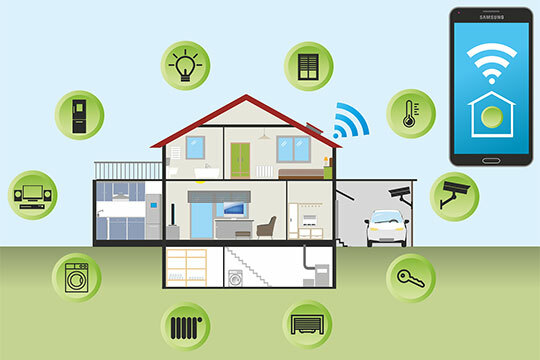 Smart technology is developing at a fast pace, and innovative manufacturers are finding ways to improve the modern homes by focusing on the sustainable factor. We can look forward to more eco-friendly appliances and systems to come. Adapting to the latest changes is not just about getting with the trends, but improving the quality of your life in a more sustainable and quality way. This article is written by Matthew Smith. He is a housing and construction writer and blog editor for Fortified Roofing. This is the first time I am visiting your site and glad to see the beneficial and amazing content you publish here. Looking forward to coming back and read more updates in future too.